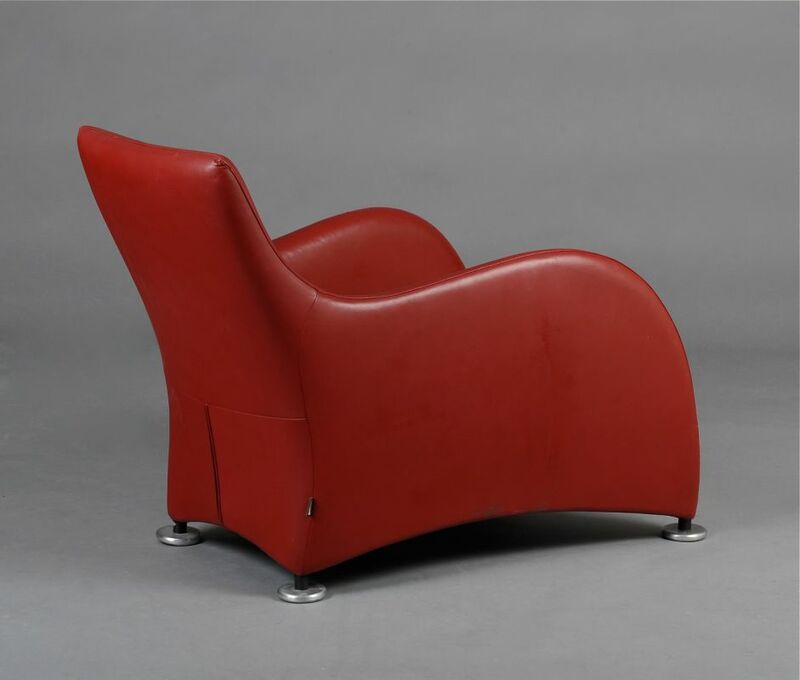 This is a pair of iconic and very stylish leather armchairs by the Dutch designer, Gereld van den Berg. 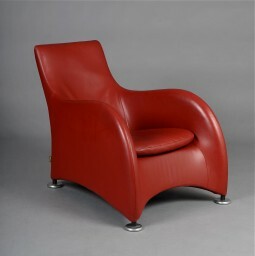 Designed in 1989 and made by his company Montis. 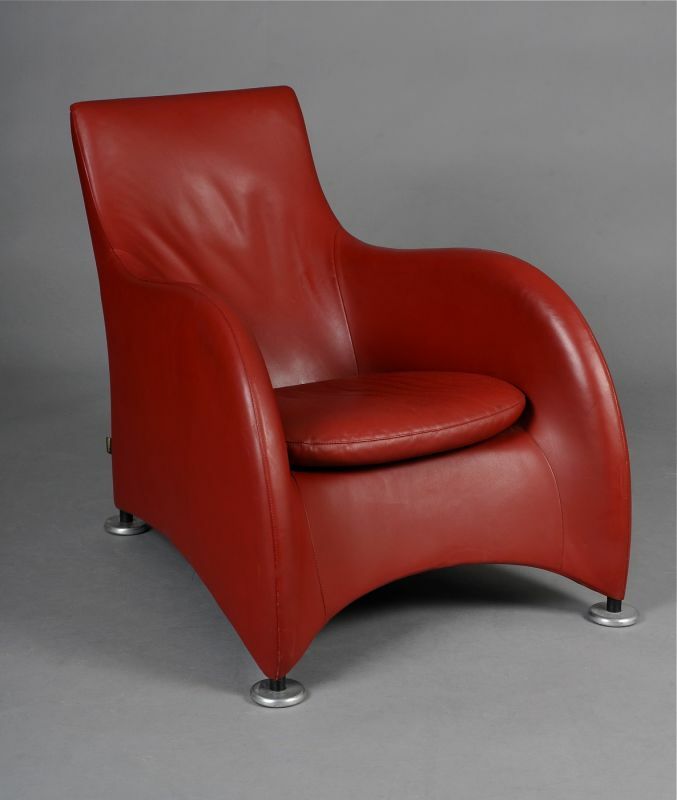 Upholstered in brick red leather with aluminium disc feet. 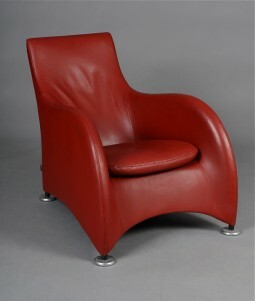 Such a beautiful design - sculpture you can sit on and be very comfortable. 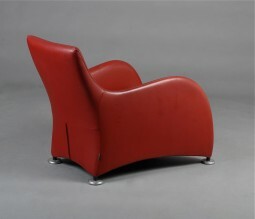 The chairs are narrow, there's no bulk to the arms or back, but the seats are generous. 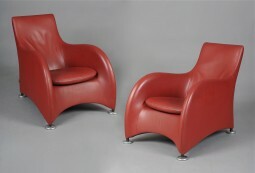 They are in very good condition and have been cleaned and waxed. The Loge is 73 cm wide, 108 cm deep, 80 cm high and the seat is at 42 cm.